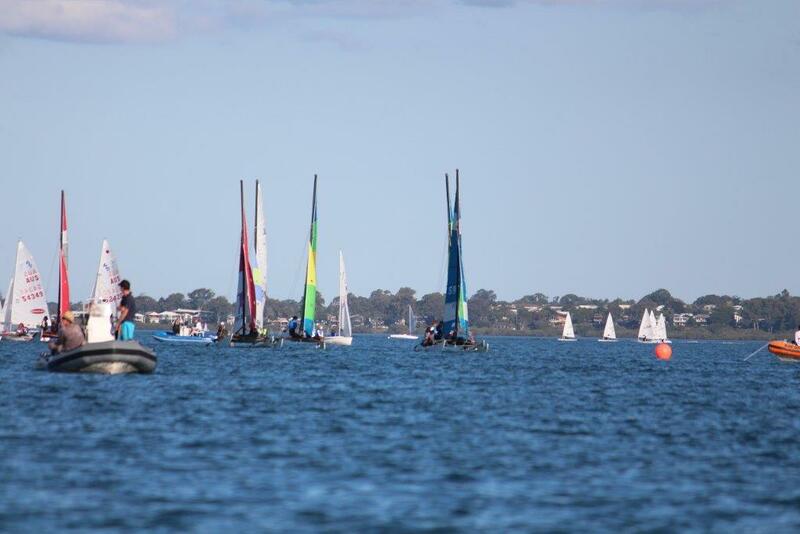 It has been a very light series with teams only getting out on trapeze in the last races today. 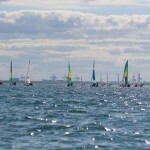 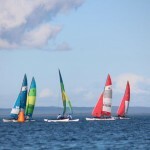 Weather forecast for final day racing tomorrow is around 10 knots. 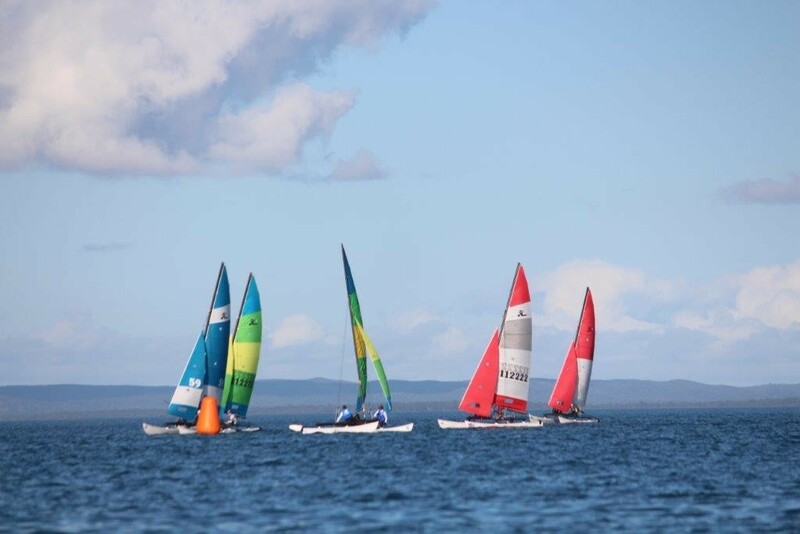 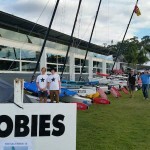 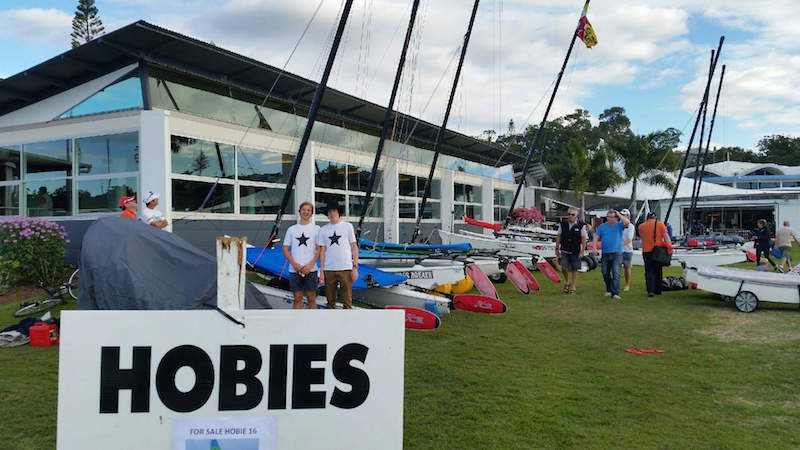 Will McKenzie and Patrick Butler will have to have a shocker to lose the lead with a big points margin, but it will go down to the wire for second and third, with the teams of Lachie and Ethan White, and Kyle Fortier/ Bonnie Butler tied on points at the end of day three. 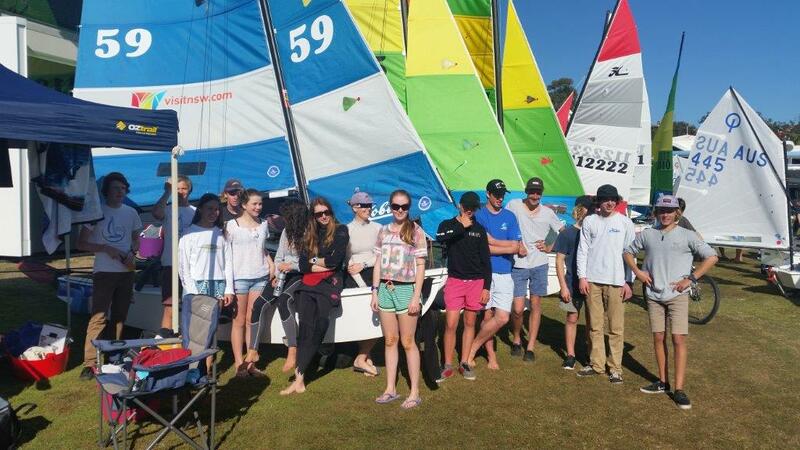 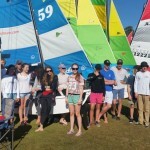 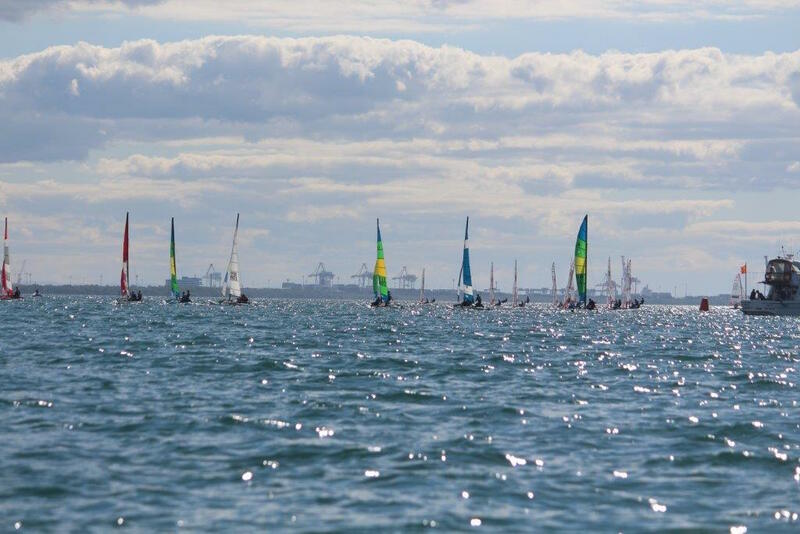 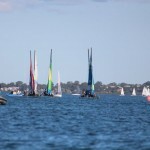 It has been an enjoyable event and good to see a mix of sailors from Vincentia, Sydney, Great Lakes, Belmont and Queensland contesting the regatta.